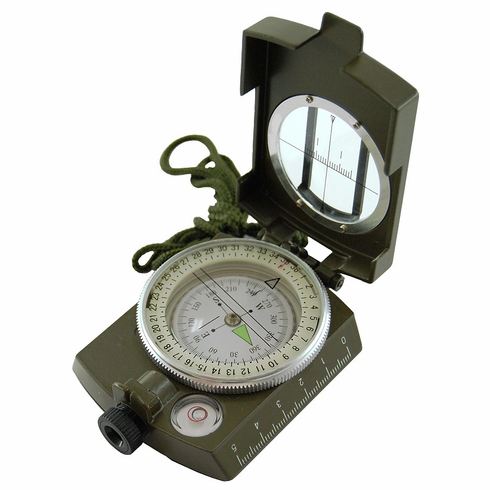 Offering a little different style to the traditional Military style compass, there is no flip up optic to peer through (like in a traditional lensatic compass). This model uses a true sighting optic that allows you a direct read of the internal compass card housed in the fluid filled capsule. And the vertical lubber line of the sighting optic lets you take full advantage of the 1 degree resolution used on the compass card.